It was with deep sadness that I learned of the passing of former President and Prime Minister, His Excellency, Arthur NR Robinson this morning. He was 87. Mr Robinson was one of our nation’s outstanding sons and an Elder Statesman. He was my friend and political mentor. I started my political career under his guidance when I became an Alderman in the then St Patrick County Council. It was with his blessing that I fought my first election in 1991. During that time in particular, Mr Robinson taught me valuable lessons which I must say are partly responsible for where I am today. 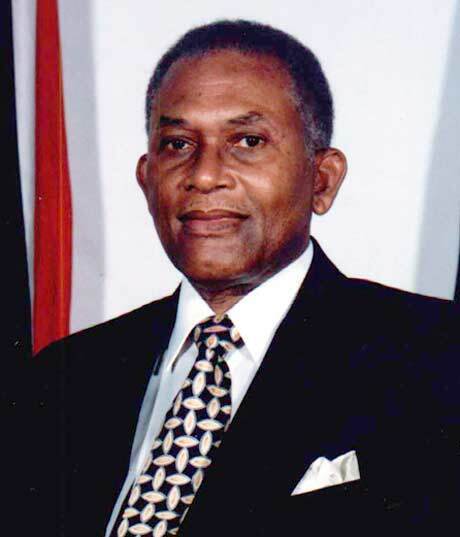 Mr Robinson remains the only son of the soil to have held the posts of Chairman of the Tobago House of Assembly, Prime Minister, and President. As Prime Minister, Mr Robinson faced some of the most intense economic, social and security challenges in our nation’s history, but he bravely took the tough decisions required at that time and even as his Government came under attack by armed insurgents, was prepared to courageously lay down his life for his country, when he commanded the army to “attack with full force”. As President, he stood as an exemplary Head of State, even when faced with declining health, and served with distinction. As a true national hero, he earned a sterling reputation as a visionary and champion of the people. Even as he battled his illnesses for many years, Mr Robinson never lost his fighting edge, and remained driven by what he believed to be just and right. It was in fact his proposals and advocacy that led to the formation of the International Criminal Court (ICC). Even amidst his stellar achievements and example, Mr Robinson remained loyal to his birth village, Castara in Tobago. He was a proud son of Tobago, and it is with a sense of honour that the Crown Point International Airport in Tobago was named after him in 2011. It was an honour that he lived to see for himself. When I visited him last month at the St Clair Medical Centre, I still held the hope that he would have recovered, as on so many previous occasions. Though sad, however, I am happy to know that he will now be reunited with his life-time partner and best friend, his wife, the late Patricia Robinson. As a result of Mr Robinson’s passing, I have instructed the Honourable Minister of National Security to fly the national flag at half-mast during a period of national mourning. I have also instructed the relevant Ministers to liaise with the family of Mr Robinson to prepare for a full State funeral. Mr Robinson’s passing is a deep and tragic loss for our country, but the legacy he leaves behind shall surely live on to inspire today’s and tomorrow’s generations.